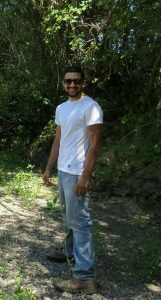 Jacob joined MCRCD in 2016 to assist with the Willits Bypass Offsite Mitigation Lands Grazing Project. He assists with infrastructure maintenance, grazing management, and biological monitoring. Jacob grew up on a ranch in Laytonville, CA. He is passionate about land stewardship, fishing, hunting, and being an all-around great guy.